Serving his clients in real estate around Seattle for 16 years, Gerhard’s writing and videos cover the world of real estate, his interests, and personal experience. His Seattle area custom listings have made him famous to his clients. Find out why and what he can do for you. If you are a buyer, looking for Seattle area homes, go here. 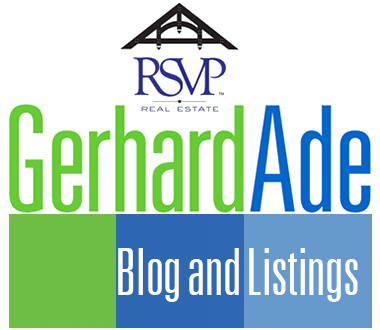 Blog: What Gerhard has to say about real estate around Seattle & beyond. The Best of Two Worlds | Sellers and Buyers are on opposite sites of the real estate experience. It’s high time for each to have their own place on the web. Buying Season | Virtual reality is no substitute for the real thing. Exploring a home from room to room and up and down the stairs is still essential. Seattle Area Listings: What sets Gerhard apart will set you apart. Personal Real Estate Portal | One of the hardest things about selling your Seattle area home is getting it ready to list. Gerhard provides his clients with a unique service. Seattle Area Custom Listings | Gerhard’s listings stand out like Mount Rainier on a sunny day. His custom listings sell at the highest price in the shortest possible time.